I have yet to meet a South African who doesn’t love this traditional tart! Or anyone else who has had the pleasure of trying it for that matter. 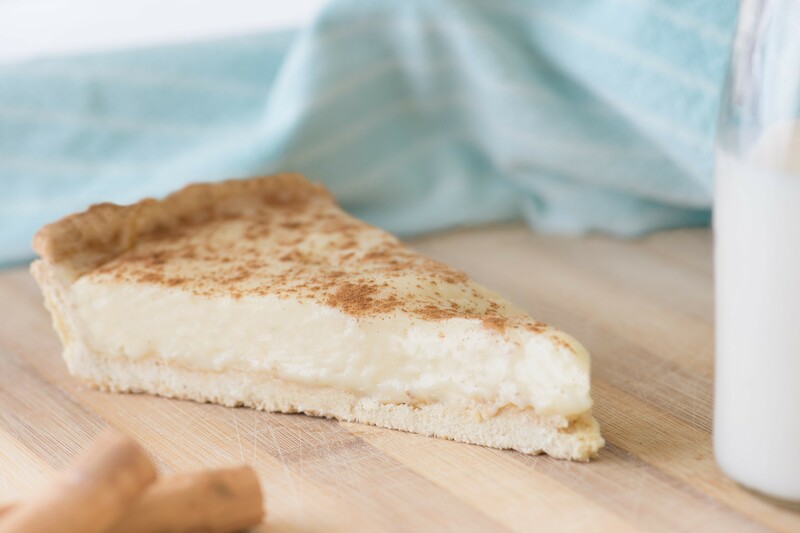 For those who don’t know it, a Milk Tart is thin crispy pastry filled with a creamy milk-based custard and sprinkled generously with cinnamon. The beauty of it is that the custard is surprisingly light, as the base is milk and not cream. It’s available in just about any South African supermarket but of course nothing beats home-made. (Or, if like me, you are far from home and craving some). It is wonderfully easy to make a from basic ingredients you’ll already have in your cupboard so there’s really no excuse not to make one! The pastry contains a tablespoon of oil – a somewhat unusual addition that ensures the texture is lovely and crisp. As a bonus the dough does not require resting in the fridge beforehand and also does not need to be baked blind. PS. For a naughty twist on another South African favourite try my Amarula Malva Pudding. Preheat the oven to 180°C and grease a 28cm pie dish. Cream together the butter and castor sugar until light and fluffy. Add the oil and egg and beat well. Mix in the flour and baking powder and mix to form a soft dough. Press a thin layer of the dough into your prepared dish (I like a thin base and had some dough left over). Prick the bottom with a fork and bake at 180°C for 20-25 minutes until golden brown, then allow to cool. For the filling, bring the milk, butter and cinnamon stick to the boil. Mix the remaining ingredients into a smooth paste. 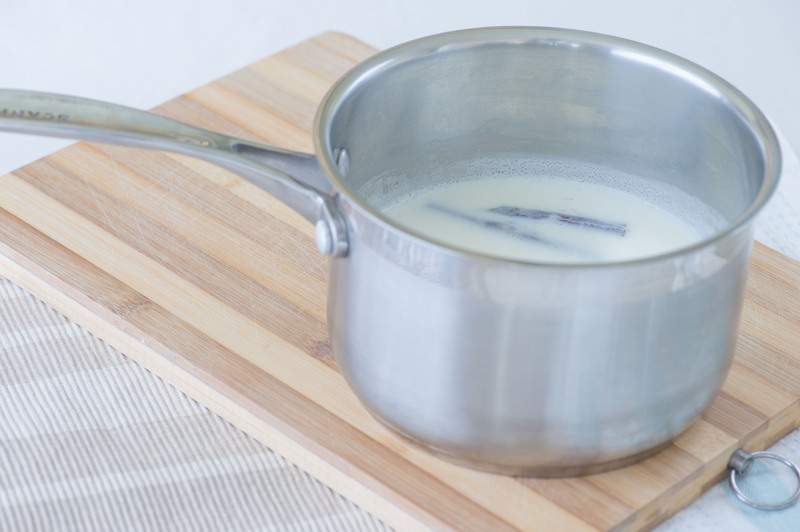 Once the milk mixture has come to a boil, cool for a minute then remove the cinnamon stick and pour slowly into the smooth paste, whisking constantly to avoid curdling. Strain this mixture back into the pot and return to a medium heat. Stir constantly until the mixture thickens, then allow to cool to room temperature before pouring into the baked pie crust. Sprinkle generously with cinnamon and refrigerate for about 3 hours until set. Thank you for the mElk tart’ recipe – one of our favourites – this one looks great.